When I had my first chance to test the new Olympus E-M1X, there weren’t that many opportunities for me to test the autofocus (AF) to its full potential. That’s why in my first camera impressions I quite openly stayed clear off proclaiming any public comments. Some may have been surprised by that, but believe me, writing something meaningful about the AF is not that easy. Mainly, you need subjects that repeatedly move in a similar style so that you can play with different motion settings that you can later compare. The problem is that the E-M1X has a whole range of different settings. You can either use the whole 121 AF-point grid (I’m going to refer to it as the matrix in this text), or you can reduce it into various rows and columns. You can even reduce the size of the AF points further into micro points through a number of cluster points such as 5-cross point, 3×3 points and 5×5 points. Furthermore, you can customise the focus areas into three separate areas – S-AF, C-AF and C-AF + tracking. In order to test the camera’s AF capabilities I undertook two different trips that perfectly fit into the purpose of testing real-life conditions for a whole spectrum of settings. 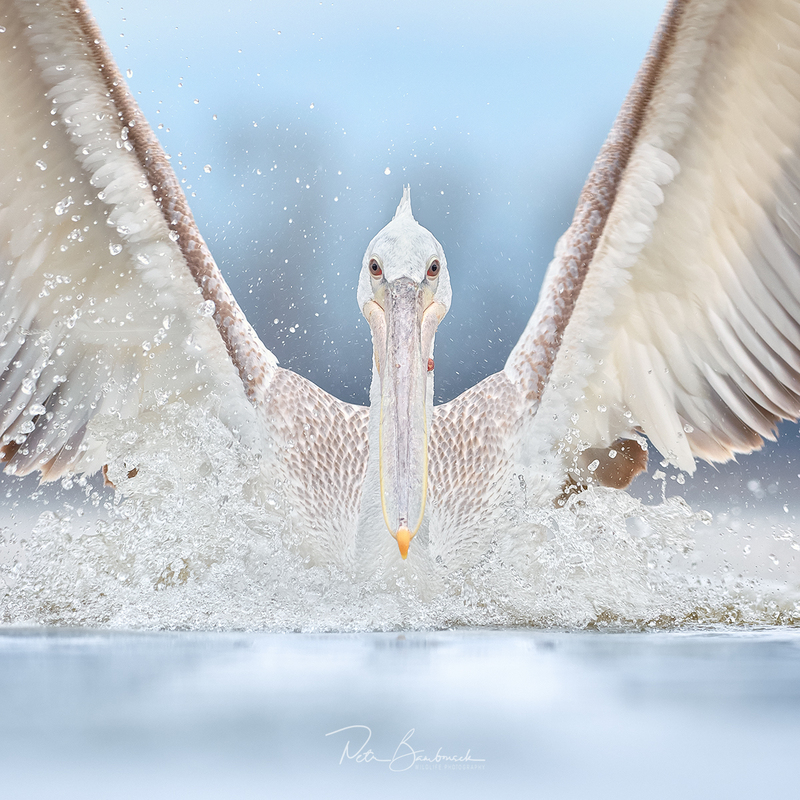 First one was with my friends who went to Greece to shoot pelicans. 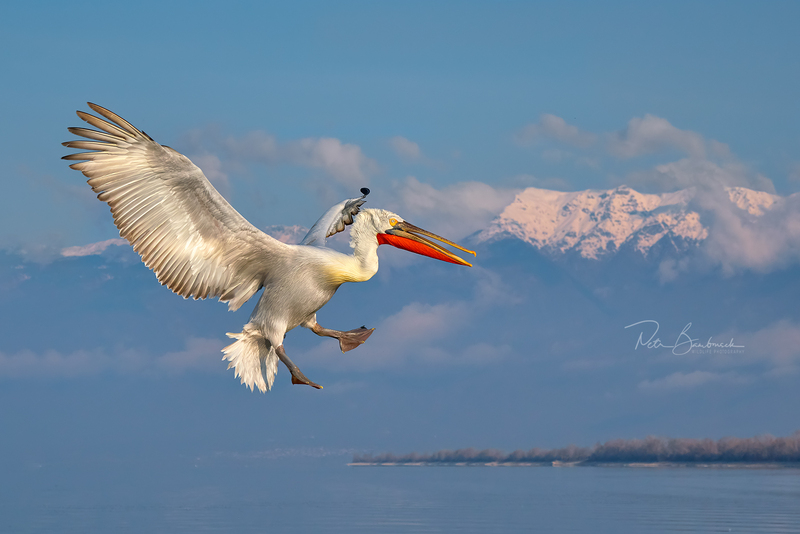 Originally, I was fairly reluctant to go with them to the Kerkini lake simply because I know that a lot of photographers already photographed pelicans so I just didn’t wanna be one of them. Coincidently though, the trip took place exactly in time when I had the E-M1X on loan from Olympus so, off I went – without any preparation, without any idea of what and how I want to photograph. The only thing I knew was that I wanted to test the AF features in various scenarios and unique angles even if there wasn’t a decent photo that would come from it all. 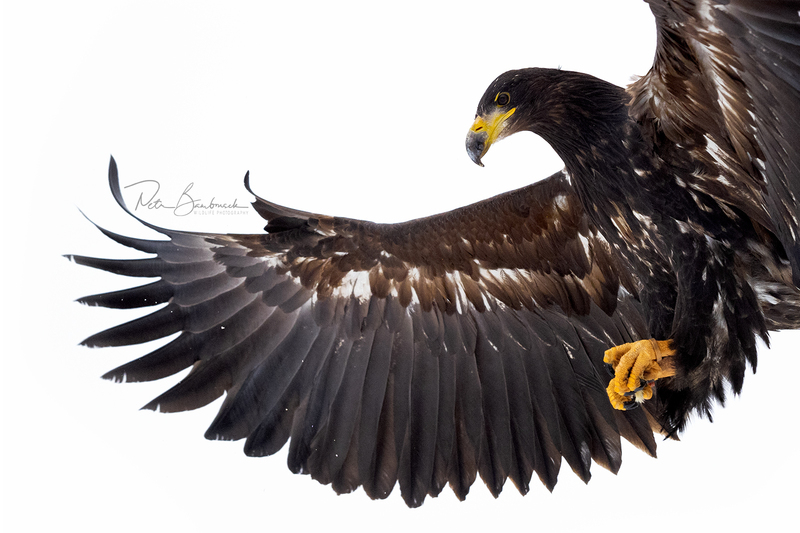 Afterwards, I took part in a birds of prey workshop with an Olympus ambassador Rosta Stach. Two different scenarios (light pelicans against a mostly light background versus relatively dark birds against primarily dark background) and a number of shots taken (roughly about 3000 pelicans and 2500 birds of prey) resulted in a satisfactory groundwork for me to draw some conclusion about the AF on the E-M1X. Moreover, it was very helpful not to be an organiser of the events so that I could focus solely on the photography. 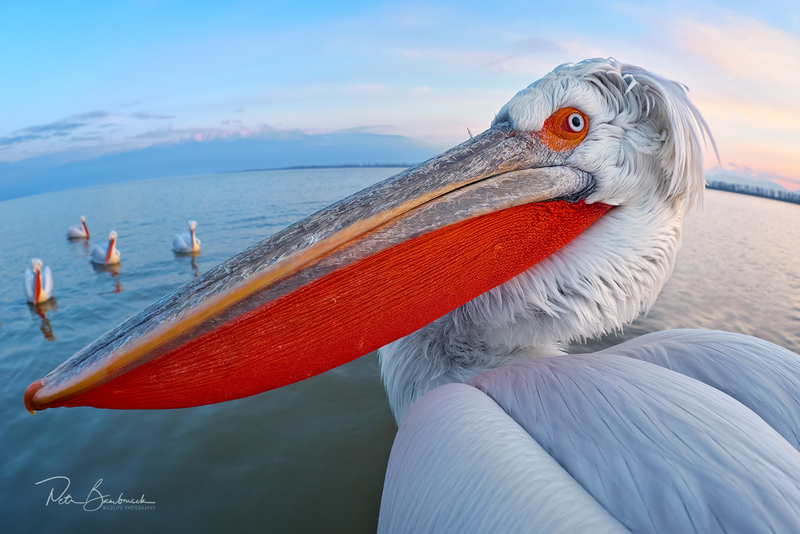 If you key into any search engine ‘Pelican Kerkini‘ you will end up with a gazillion of images. 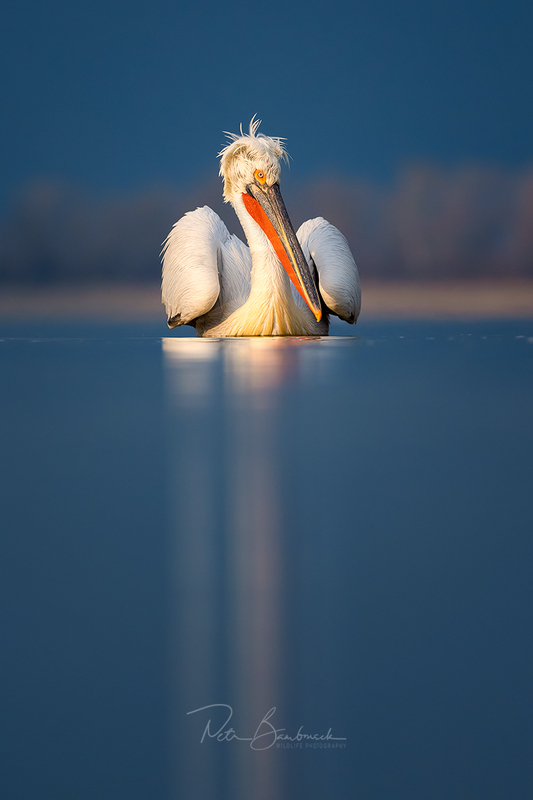 It is more than obvious that the Dalmatian Pelicans at this lake are more than welcoming. 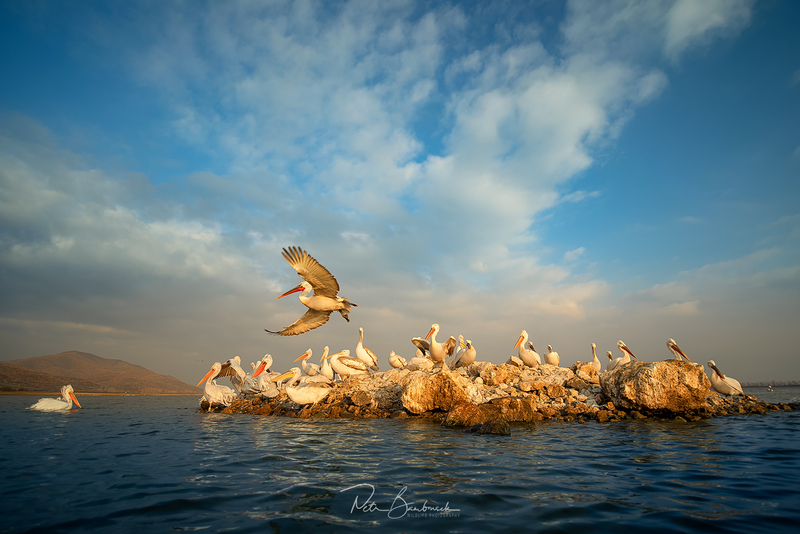 Local fishermen use the lake as their main source of food and the pelicans quickly learned to stick around bringing about an interesting coexistence between the fishermen and fairly attractive feathered creatures. The birds have quickly become used to people even though they don’t really seek them out. That is – unless you have a fish on you. And should you have a whole box of fish you get all the attention in the world. And soon, the word spreads across the whole lake and pelicans fly in from every possible direction. 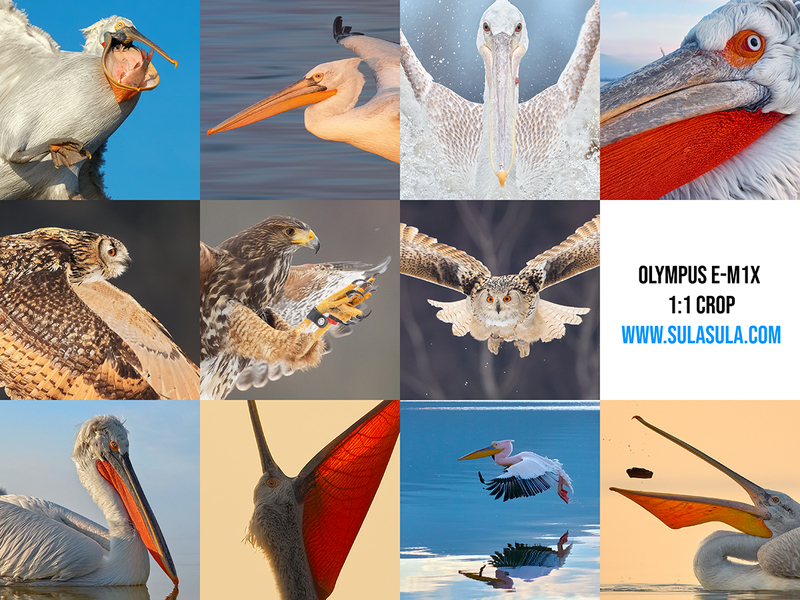 That is a fantastic opportunity to photograph the birds as they fly in. Secondly, you can take a boat trip (again with a box of fish), which the pelicans kindly oblige to follow. 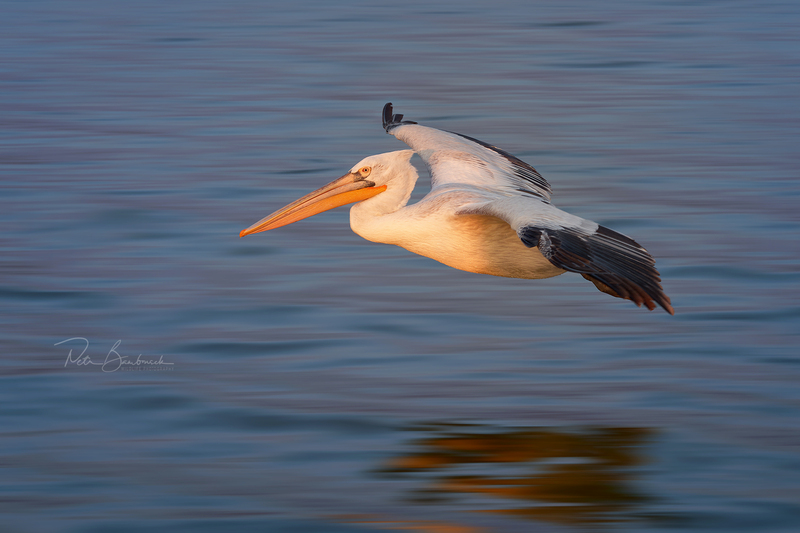 So, there is more than plenty of opportunities to photograph the pelicans in their natural element. Thanks to this combination, my card was quickly filling up with perfectly sharp images. 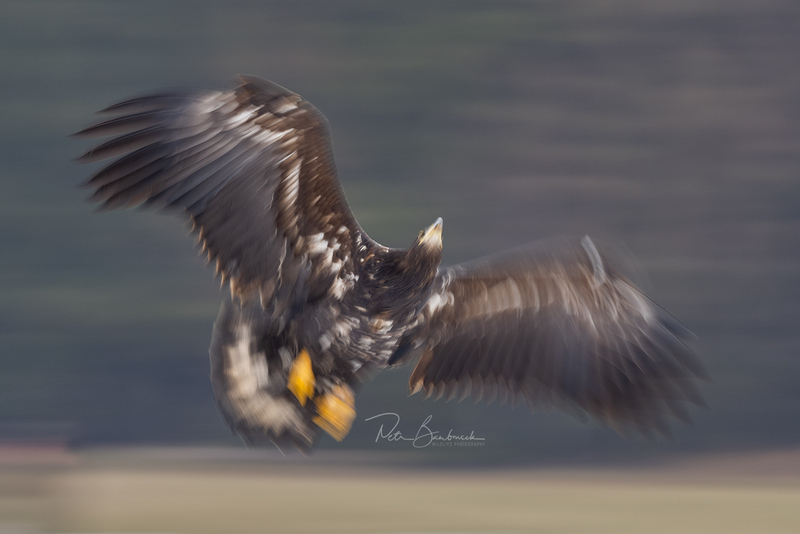 Naturally, there were some images that were not in focus and even some that the AF missed altogether, but overall about 80% were perfectly sharp, 10% slightly ‘unfocussed’ and 10% out of the focused area. What that meant was that I had plenty of photos to choose from and in the end I had to even delete perfectly sharp photos that I originally meant to keep. 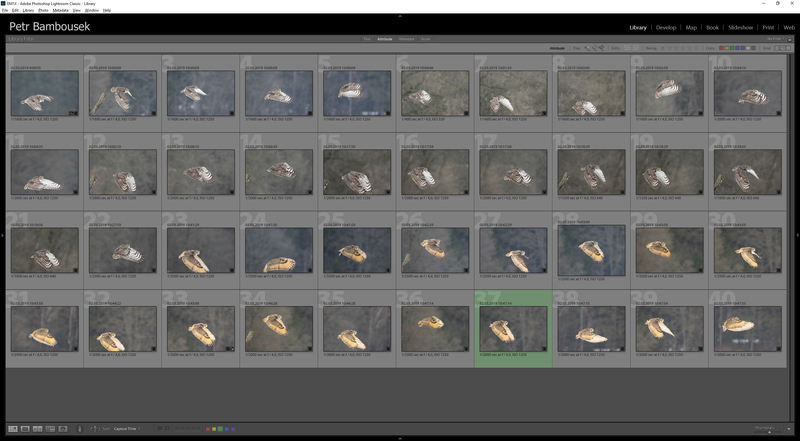 I came home with about 600 photos of birds in flight. Most of them fairly boring, of course, as I personally am not a big fan of pictures with flying birds unless you can capture dynamic movement. However, for my testing purposes, flying birds were a pretty good test subject as I could experiment with various shutter speeds as well as focus modes. Naturally, the longer the exposure the less sharp photos I ended up with. I would say that the ratio of unsuccessful photos with 1/30s was completely the other way round the above. With 1/5s values we are talking about pure impressionism. 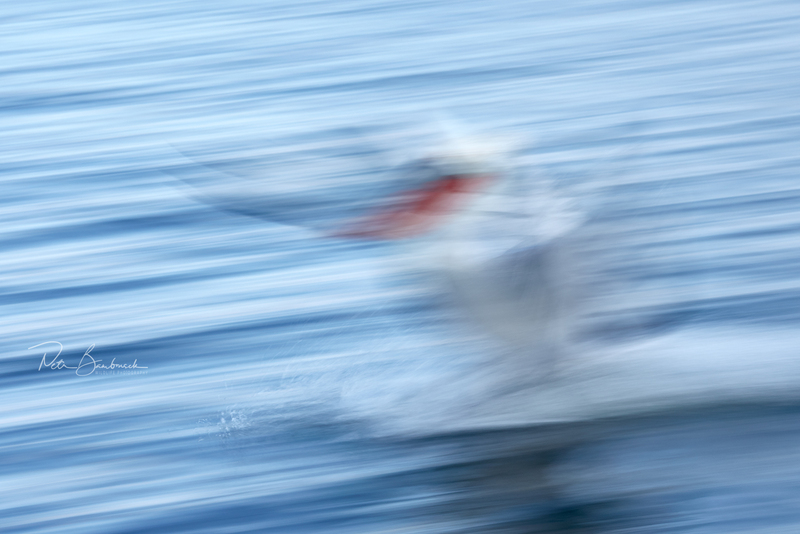 An interesting effect was achieved around 1/50s when the time was so short that the pelican was captured perfectly sharp but water around him had a little time to blur. 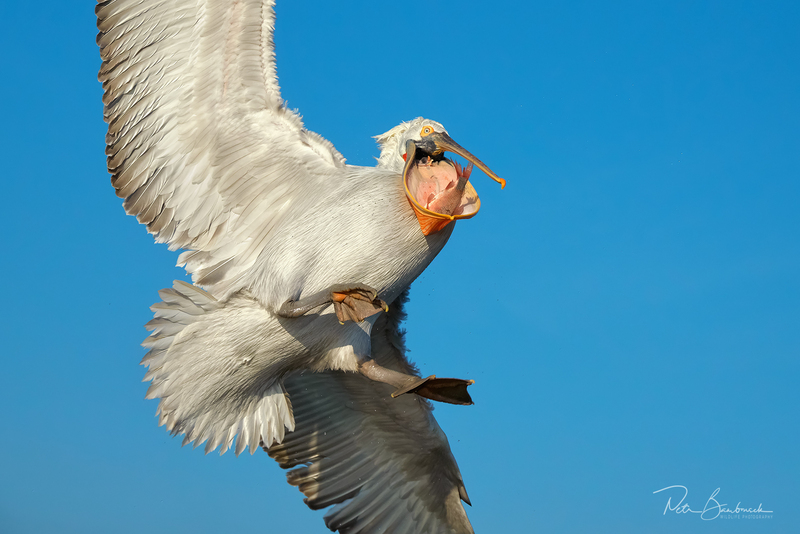 Sadly, in these situations, the pelican was mostly cruising and wasn’t flapping its wings. 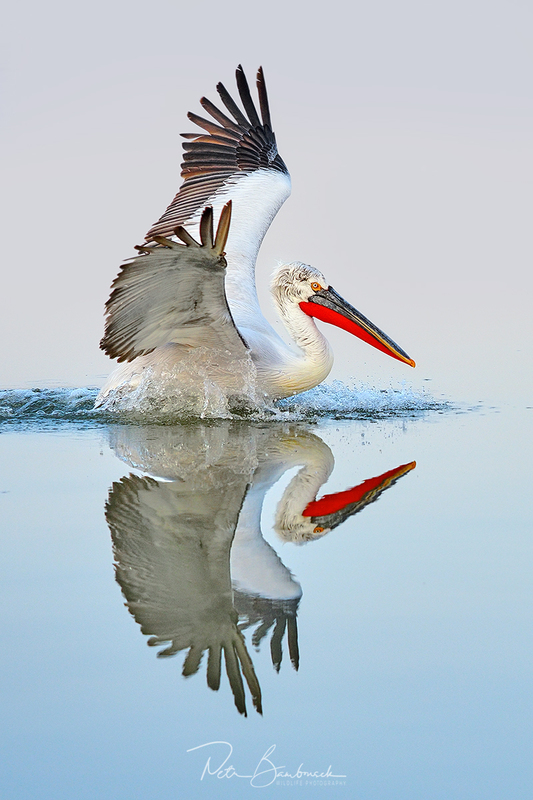 The pictures, therefore, lacked any dynamics of movement resulting in a fake-like image where it looked as though the bird is photoshopped in. 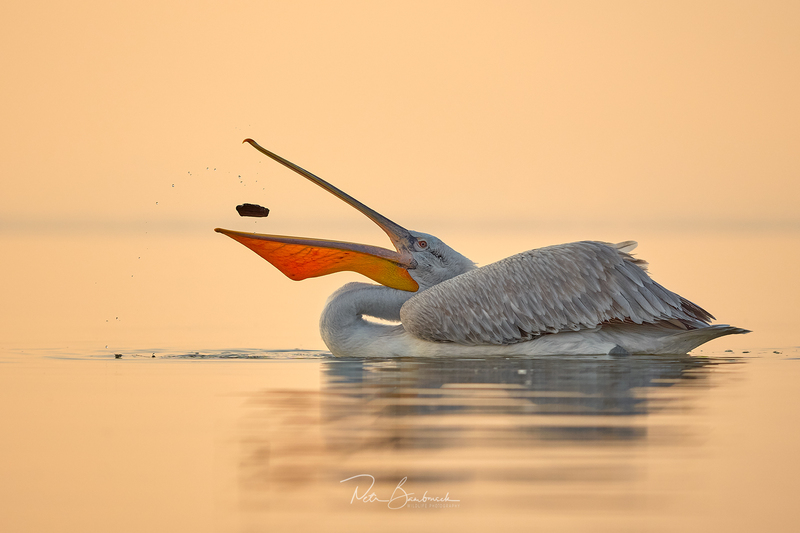 There were also a number of relatively absurd but interesting situations, when a fisherman threw a fish into the air and the pelicans were trying to catch it. This in the wild naturally almost never happens as most fish stick to the stereotype that ‘fish live in water’. However, for my AF testing purposes this was a perfect opportunity as all the action took place close to the boat and it was easy to lose track of the fish or the bird in the viewfinder. Despite these challenges, a number of decent images was born. The main problem was the sheer size of their wings (their wingspan is about 2m) that did not always fit in the frame. 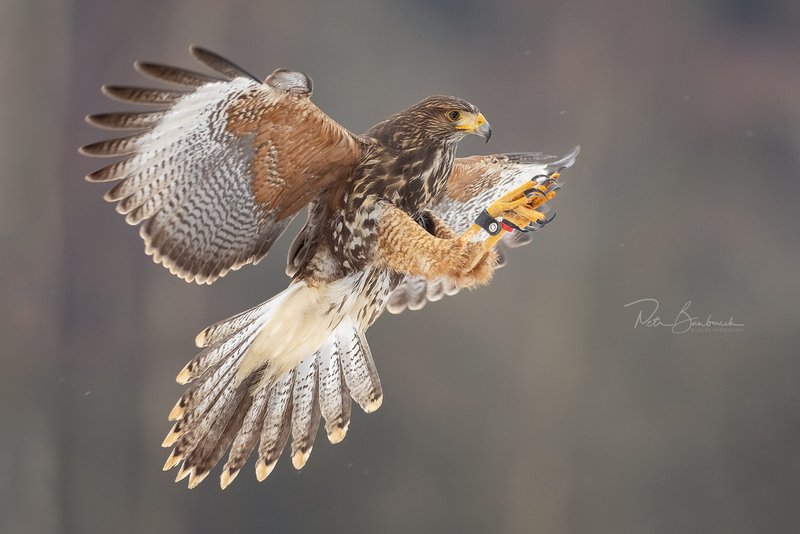 Trained birds of prey workshop was my second testing medium. 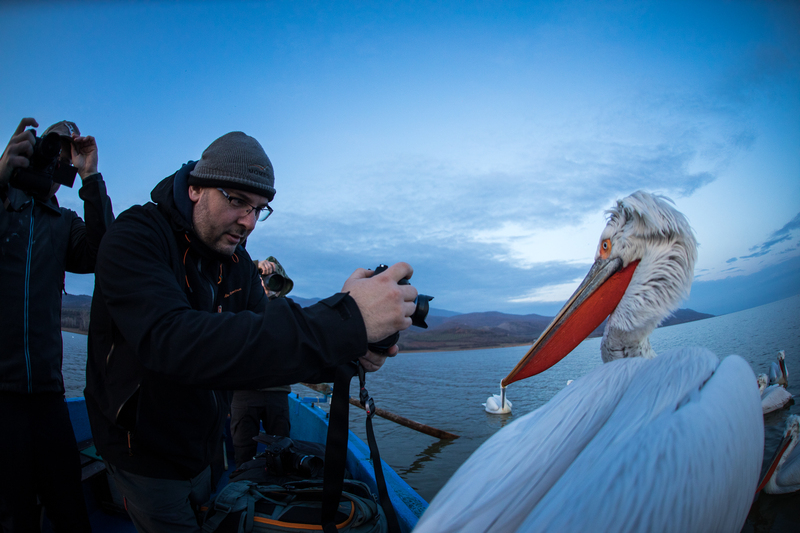 The workshop was run by a very experienced photographer Rostislav Stach. 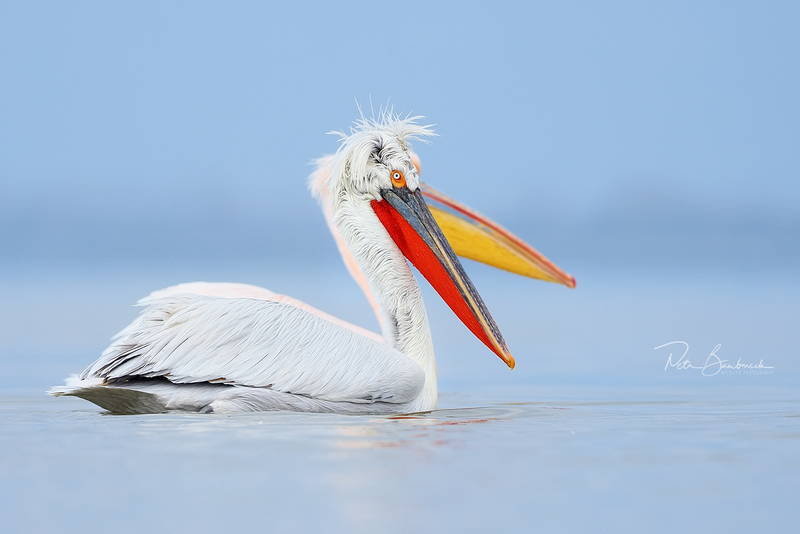 While the pelican photos were mostly taken in varied light conditions, the weather during the workshop was overcast with a drizzle or a shower or two. This combination is totally useless for creation of epic imagery but absolutely perfect for testing of autofocus. If the camera can cope with dark birds set against a fairly dark background with minimum light source, then it can get only better from there, right? 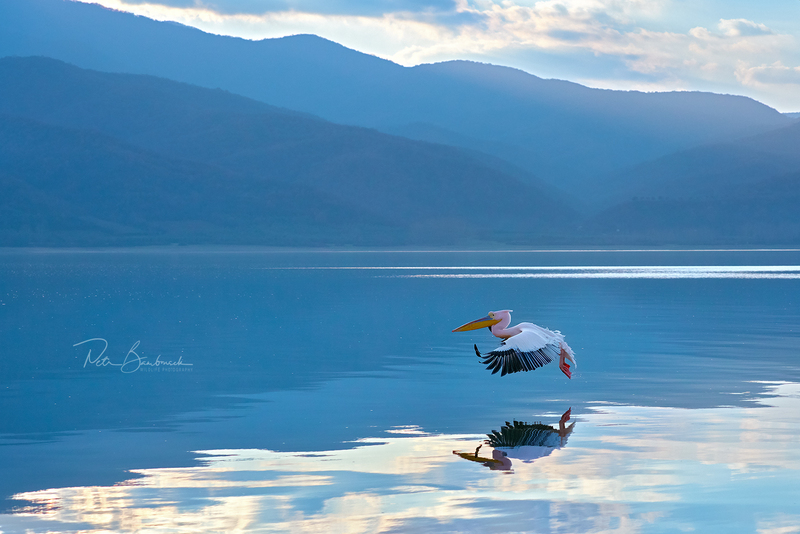 Having practiced on the pelicans in Greece I settled on the aforementioned setting. I can only confirm what I already mentioned above. When the birds flew from one side to another, about 70% of the photographs from one flight were in focus. During a front flight though, the ratio dropped to about 40%. When I adjusted the AF to +2 and reduced the speed to 10fps I achieved about 50% success rate. What was most important for me was that from EVERY series I always had a number of SHARP photos with perfectly positioned wings. For BIF shots, two factors were absolutely critical – to maintain the AF points locked on the body of the bird (due to the chosen 3×3 target area that wasn’t too complicated); and to catch the same rhythm corresponding with the speed of the bird. 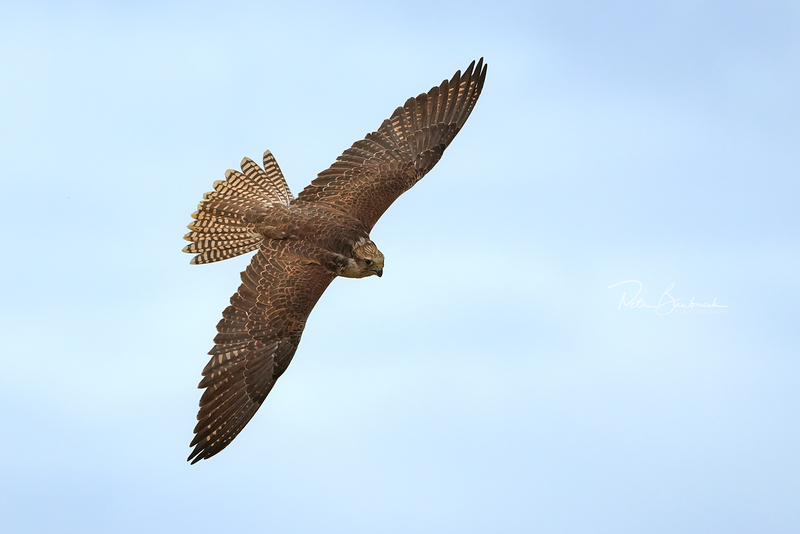 The hardest bird to photograph was a saker falcon. 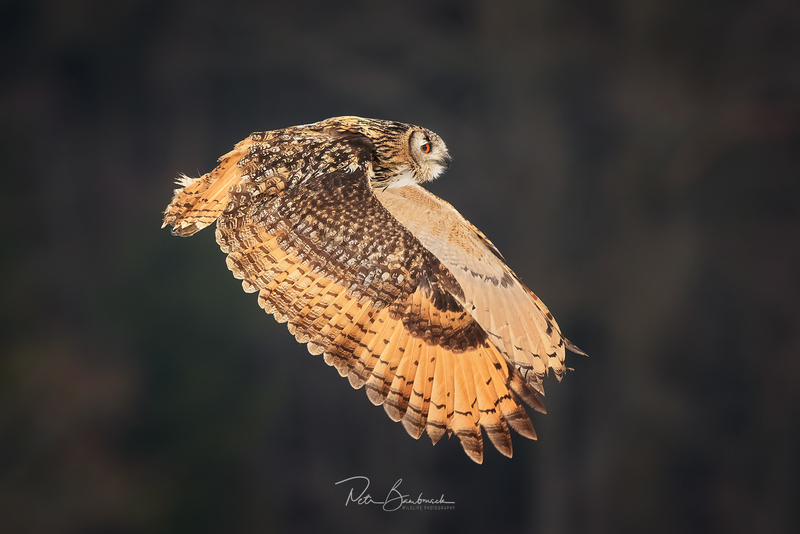 As it is one of the fastest birds on this planet his flight was unpredictable and keeping it in a viewfinder with a 300mm (resp. 600mm) lens on was more challenging than for example with horned owls. Again, even here I ended up with a number of sharp photos even though the success rate dropped down to about 30%. With that in mind, I reckon there is not much more I can test on the AF function and think I will not return to any further tests. I have loads of data that give me a pretty good idea how the AF works and I don’t need to undertake any more ‘testing’ trips. When I go to Costa Rica I will focus on ‘testing’ whatever will pop into my head. – When you save your photos you cannot change the AF points. The camera remembers where you last tapped. Sometimes, inadvertently, in my haste I moved the point too much. – When you select a line of AF points, the indicators are quite afar from each other making it difficult to see the plane of focus. What would be helpful is a coloured stripe running through at least two points along the left and right edge of the focus area. – I’d really appreciate the possibility of setting up coloured AF points/grid. I use either light green or red. Personally, I’d welcome a separate setting for both parameters where you can simply tick off which colour you want to use for whichever setting. Bright indicators are quite intrusive, strong AF point really helps. If it would be possible to separate the colours, it could likely be in a combination of grey indicators with strong red AF point. – Another fairly unpractical, but easily fixed, function is the fact that when you want to make your selection with a multiselector, you cannot change the AF format (small, standard, group …). However if you use the arrow pad you can do so simply by turning the top dials. – I quite like the possibility to quickly change the AF modes with a multiselector. 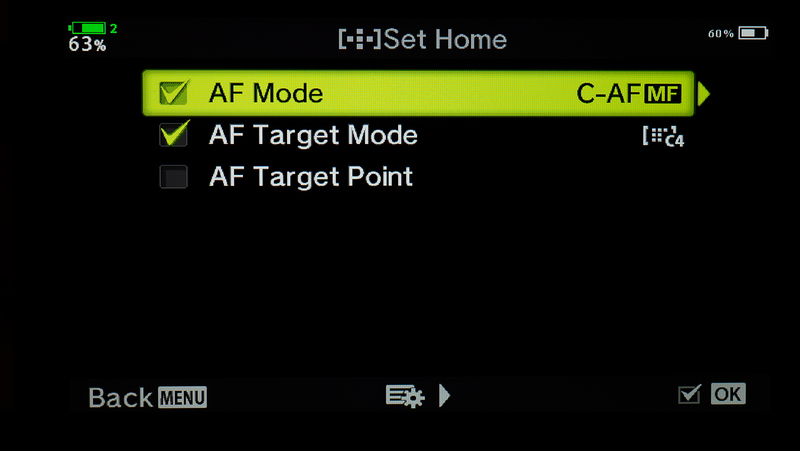 It allows you to change the focus mode (S-AF/ C-AF), AF point location and its shape. What I’d really like to see is the possibility to add image stabilisation options to Home AF setting. When I shoot in S-AF mode I prefer IS1, which makes even the impossible possible. However for birds in flight I prefer the IS2 setting. Because of this I am ‘forced’ to have IS Auto on all the time. IS THE FOCUSING MECHANISM MORE ADVANCED COMPARED TO E-M1 II? This is a question I get asked all the time and there I have no simple way to analyse the answer. E-M1 II is by no means unreliable even though it has certain limitations. I see the main benefit in the option to set an individual matrix and the speed in changing the modes. That assures me that I will not miss any sudden change of animal movement, which might be the biggest asset compared to the E-M1 II (and a number of other cameras on the market). Reliability of the AF is so high that I don’t have the need to search for another camera that’s out there, which may have it similar or higher. 2/ action shooting – by pressing a multiselector the AF Home is activated that is assigned to C-AF, stabilisation ‘Auto’, smaller 25 AF point matrix (5×5) and 3×3 target group. 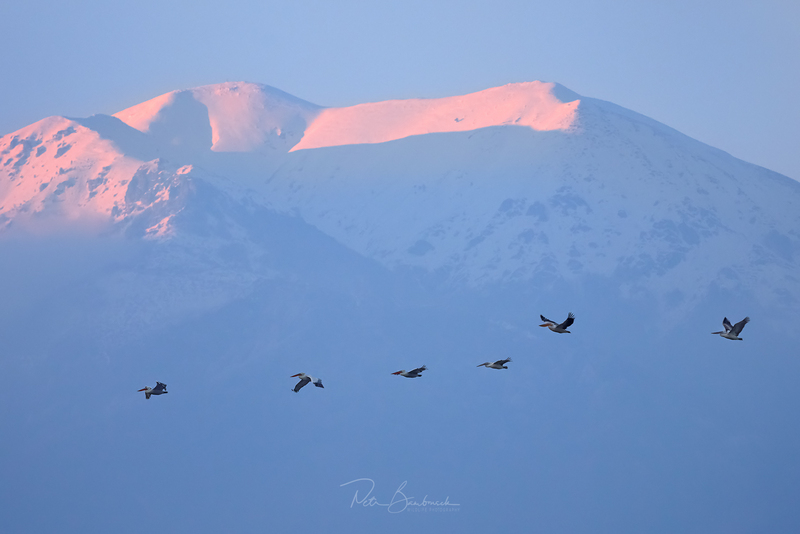 3/ flying birds and panning – programmed as C3 and assigned to a shutter control button. 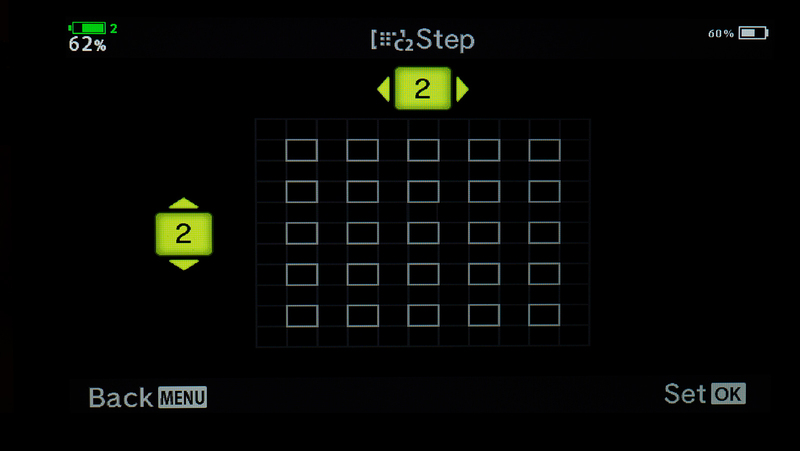 The setting is the same as in action shooting, only the stabilisation is set to the IS2 mode. Personally, I found the AF perfectly satisfactory and I know it will not limit the quality of my work. My reservations are not so much for AF accuracy or other functionalities of the camera but more towards its ease of use that could potentially be further improved (for example spare one C-mode for different modes e.g. night photo, pro-capture etc.). I can honestly say that when correctly set up the AF on E-M1X is extremely reliable as you can see on the pictures here and I don’t feel there is a further need to dissect this issue. Saying that however, I will welcome the time when there is a new AF mode that will be able to detect animals or better yet – their eyes. I guess, we gonna have to wait and see what the next firmware will bring. …additionally (excuse me for missing this point) did you assign focusing to the back button or focus through the shutter button? 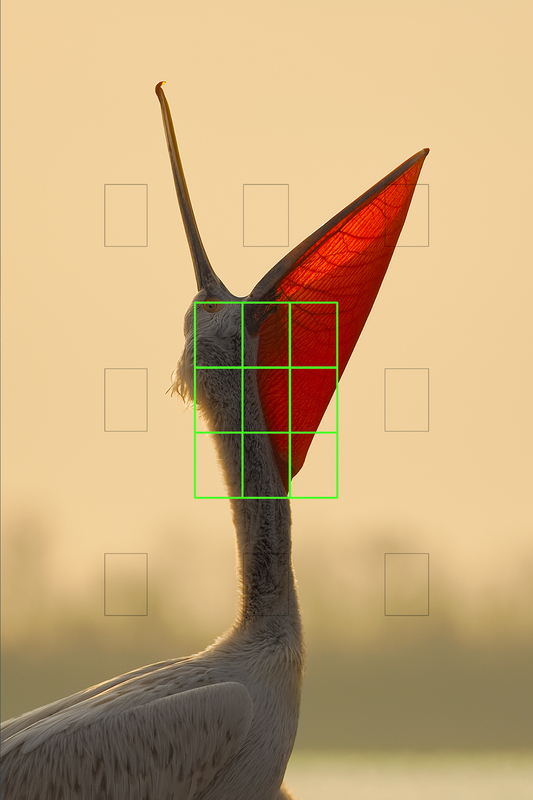 Past experience with Canon & shooting sports was back button focusing resulted in higher rate of “keepers”. However my initial experience with M1X IS that I could only separate focus from the shutter by setting AF to MF then setting AEL/AFL to mode 3. In every other case S-AF/C-AF/C-AF-T all attempts to separate the focus function to a back button failed & so focus was still assigned to the shutter button & the back button. I alerted Olympus but they have failed to respond! (not the best customer support). I understand if you feel disinclined to comment as I accept you are a user not a an Olympus resource. Thanks in advance. Thank you Petr a very useful article. I too am suffering from muscle memory having used Canon for best part of 20 years. I liked your honesty in the article as much about the technical aspects as about the points regarding “artificial” shooting situations using feeding to attract birds. More specifically I guess its having opportunities to really put a camera through its paces to establish a level of confidence that allows me to shoot without thinking too much about having the right settings knowing how to optimise the multitude of features to gain the best experience possible. My first impressions have been far from favourable but only because I haven’t nailed down the best settings. This article has really helped so thank you again. 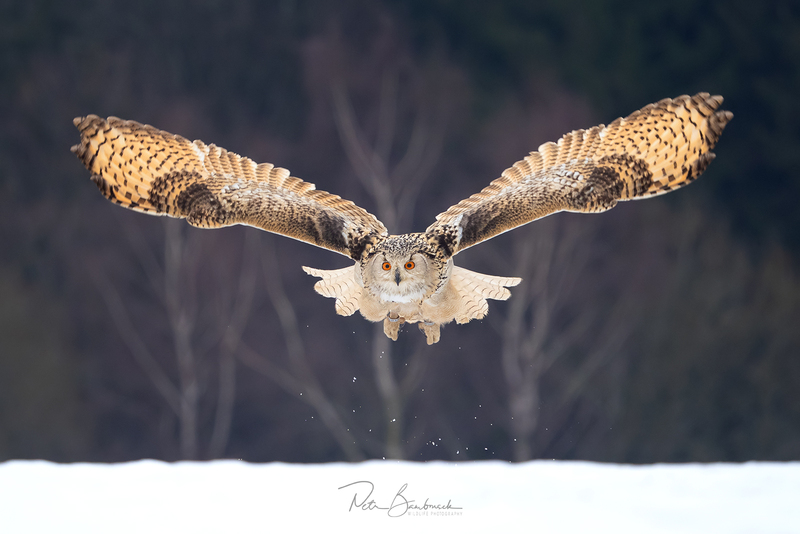 Great work Petr, amazing photographs. I recently had a tragic accident on a boat in the Colombian Amazon, where a friend and colleague died. I was very close to death in this bitter experience, and also my photographic equipment was lost, and as a way to restart my scientific and photographic work, I am seriously thinking of moving from Canon to Olympus. Hi Jorge, I am so sorry for your tragical lost! 🙁 I switched from Canon two years ago. After some struggling with extensive menu I found the system very useful and opening new doors in creativity. No regrets so far. BTW, I suspect you missed this, but if you press and hold the joystick center button, and turn the front dial you can change the size of the AF spot really quick. Thanks for an excellent article. In my first week with the E-M1X shooting mostly Bald Eagles fishing and fighting over fish along with White Pellicans and ducks, all fighting over fish as they prepared for the return migration to summer waters, I had a frustrating time, because I found it responds somewhat differently than my muscle memory has gotten used to with the E-M1.2 bodies for the past three years. Your article may help. One thing that I haven’t figure out is how to switch easily between the selected center or five points and the All Points for when they move into the sky. On the E-M1.2 I can use the Fn button but with the E-M1X, I can use the Toggle except it’s not always working (sometimes it just does nothing and sometimes it moves the focus area because it’s pretty easy to move the toggle up/down/side. If I use it on the lever button, it’s harder to access and if I turn to portrait orientation, I need my left hand to access the lever. Still trying to get accustomed to how I’ll use this thing in fast moving birds. Thank you for these magnificent photos . 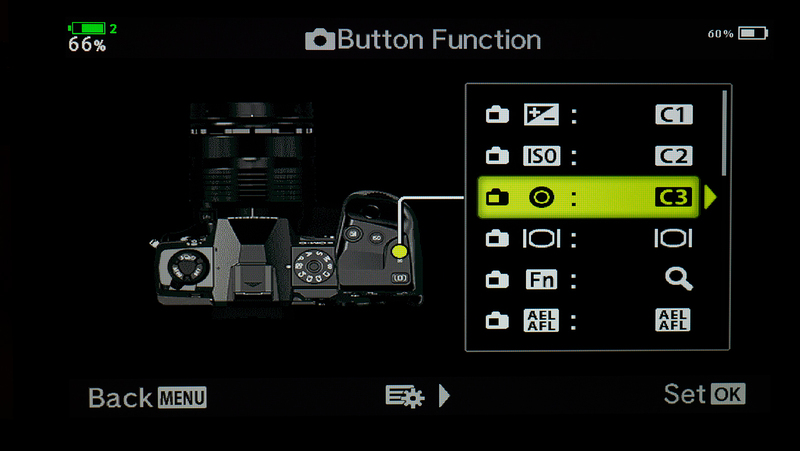 Not sure about the E-M1X, but on the E-M1 II, you can change the colors of the focus points In Custom Menu-D3-Grid Settings. The name can be a bit confusing since it doesn’t mention in the menu that this color is also used for the focus points. 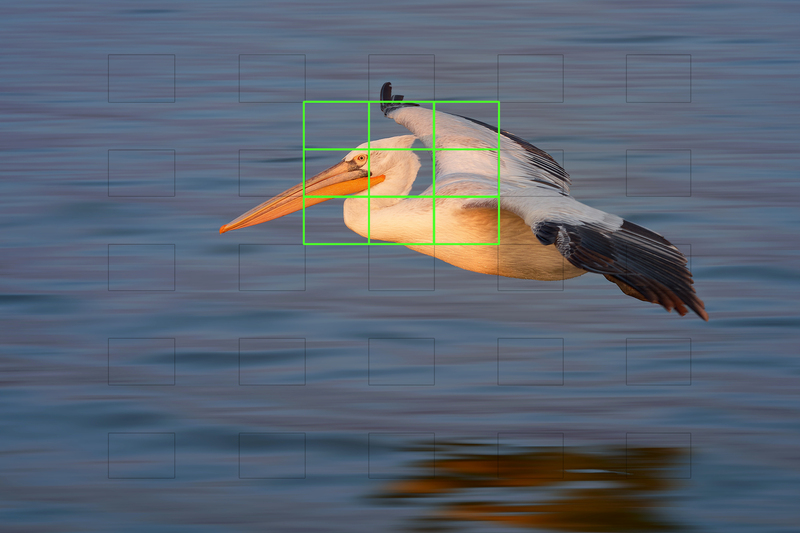 Yes, you are right, even E-M1 II allows to change grid/AF point color. What I am asking for is separate color of grid and AF point. If you use e.g. 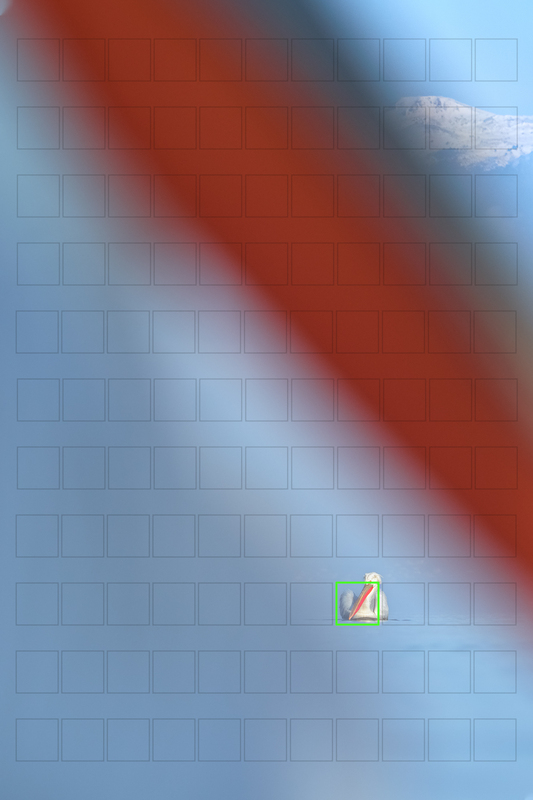 Red color, the AF, the point is perfectly visible, but if you activate grid as well the red color is too intensive. If the colors would be separate, you can use dim grey color for grid and red or green for AF point. That would be much better from my point of view. Very good. My main interest in action is running photography of which I do a lot, my daughter being an international runner. I still have a Canon system which is excellent but for the last year mainly use Olympus. I’ve found for me single-point autofocus with tracking off, C-AF on silent mode, 18fps, +2 works best. That’s with the Em1ii. I got a Em1x a few days ago and have already shot with that, using the same settings. I’ll try the small matrix to see how it is with that. The main photos I take in running are runners coming towards me or running away. Thanks for all the info! Keep writing. Great article with the sort of info that I wish Olympus would publish. Canon do separate AF manuals and we could do with one too. Have you experimented with the new Centre Start and Centre Priority CAF options? 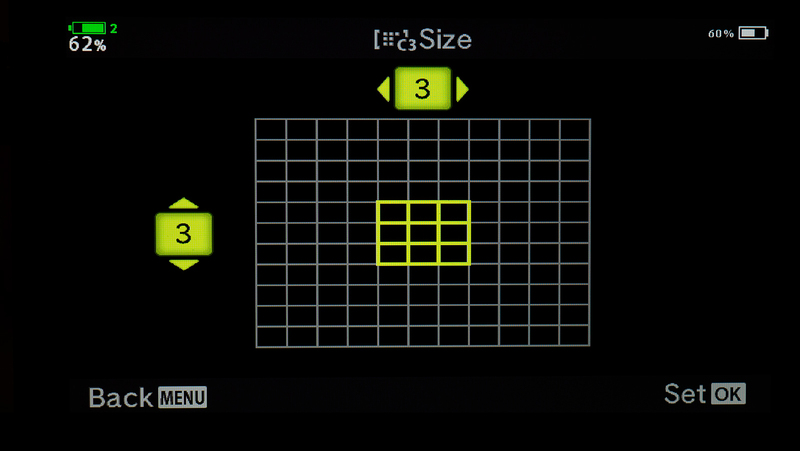 Petr: The EM1X user manual indicates that AF Center Priority is the default and the camera comes set to use it for 5 Cross, 9 square and 25 square points (and you can select your custom patterns for it too). If one selects Center Start it overrides Center Priority. I experimented with it extensively a few days ago shooting dogs running around after their owners were throwing tennis balls for them to chase. 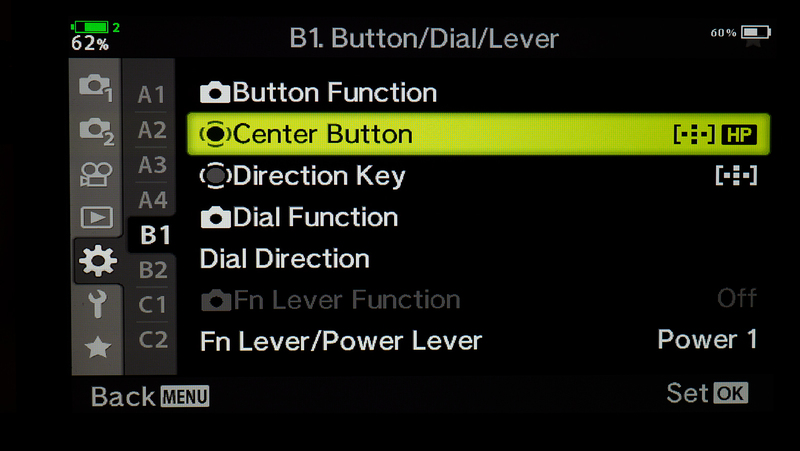 The center priority is an improvement in my view over the EM1.2 which does not have it. All of that said, what I struggle with is what C-AF sensitivity setting (+2, +1, 0, -1 or -2) to use. Very much a mystery to me. Thanks Jim. I’ve read the user manual so everything I know about is just theoretical part. Great you’ve tested the setting already. Regarding to C-AF sensitivity, try this source: (https://asia.olympus-imaging.com/product/dslr/em1x/feature2.html) there is explanation in the middle of page. I never used lower than “0”. If the movement is toward to me, I use “+2”, if usual flying bird I use “0”.